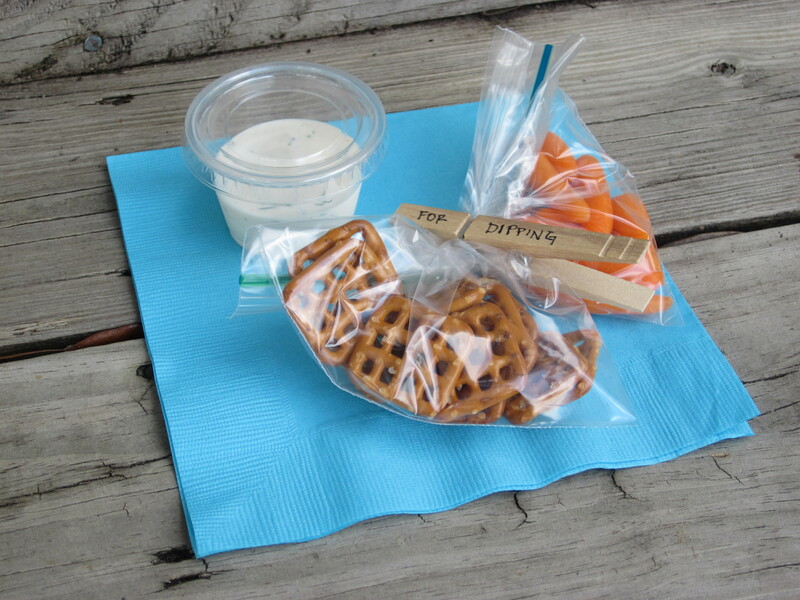 Dill Dip with Snyder’s Pretzel Snaps and mini carrots. Recipe below. This week is our first turn at kindergarten snack. Every student is assigned one day to bring a snack, and it rotates alphabetically. We will probably end up with snack duty about once a month. Any guesses as to how long I have been planning our debut kindergarten snack? Yep, that’s right. The day we got the snack calendar at kindergarten orientation back in August. I have been envisioning mini servings of some sort of kid friendly dip with a few dipping choices. Kindergarteners eat lunch at 10:10 (am!) and are starving at snack time around noon (real lunchtime). I wanted to send something slightly substantial. My daughter, Miss Priss, squashed my dip idea after seeing the finished product. Apparently, it was too fancy! Well, I don’t do not-fancy very well, but I also do not want to rock Miss Priss’ kindergarten boat. So, I sent in special snack to my daughter’s teachers; I sent in special snack to the teachers at the school where I work; I sent dill dip in my daughter’s lunch because it is her favorite, and I bought three boxes of chewy granola bars for the class. Should I tell my daughter about the ghoulish granola mix I have planned for October’s snack or just spring it on her at the last minute? Combine ingredients and chill at least one hour or overnight. Serve with raw vegetables, pita chips, pretzels, etc.